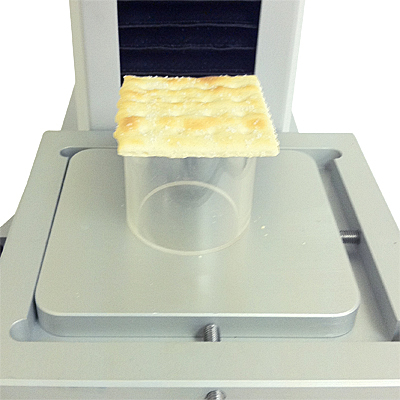 Sample holder for foods which can be easily crumbled. All sided support fixture for “crisp and potato chip” type products which are brittle and fragile. Use with hemispherical probes to replicate punching through with the finger. All sided stainless steel support fixture for "crisp and potato chip" type products. Use with hemispherical probes to replicate punching through with finger. Includes 3", 2" and 1.5" diameter.